Here is the gigantic icicle that was dangling over my car. 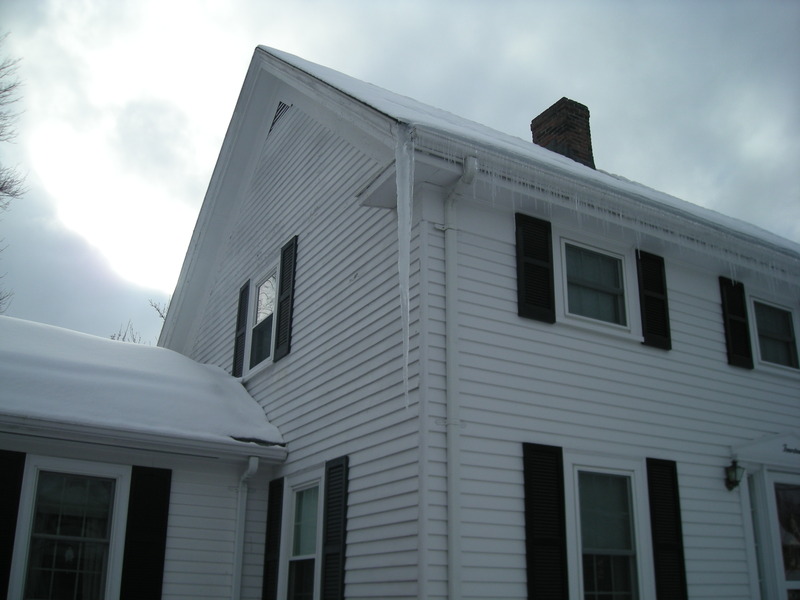 Thats gotta be easily the biggest icicle that has ever hung on this house. If that thing fell on me, or my car, that would have hurt! (or dented) So I knocked it down :-( The other side of the house has a huge one too, and that other one has the cable tv cable going right through it. So when it decides to fall, there will be no more TV. And internet. How super lame! Doesn't the cable company think of these things before they hang their wires!